iRealHousewives | The 411 On American + International Real Housewives: RHOCheshire Star Christine McGuinness Opens Up About Raising Children With Autism! RHOCheshire Star Christine McGuinness Opens Up About Raising Children With Autism! Christine McGuinness is opening up about raising children with autism. 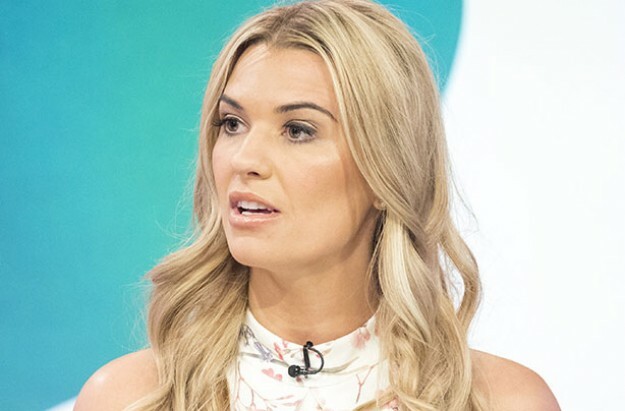 The Real Housewives of Cheshire star recently revealed during an appearance on Loose Women that she 'broke down in tears' after a fellow mother complained about the 'noises' being made by her autistic twins. McGuinness said she overheard a lady complaining about the noises her 5-year-old twins, Penelope and Leo were making in a play center this week. "I overheard a lady complaining about the sounds they were making, saying they couldn't stand it it was hurting her ears, I was crying," she said, according to The Daily Mail. "Normally I take an opportunity to educate about autism, the only way to help my children is to educate others and raise awareness." "To be honest I don't think my children need fixing, I think they're amazing the way they are," she told the lady, said McGuinness, adding that just taking her twins to a play center is big step. "In the play center, they would have cried, held their ears, but now they're at an age where they are enjoying it," she continued. Christine also said the couple's youngest child, Felicity, who is two years old, is showing early signs of autism. "It's usually around three that you go down that process, but I'm in no rush, you can see the traits they're dealing with, but for now she's just a baby and I want her to enjoy her life," she continued. "They're so intelligent, they're funny, they're loving, they don't feel that they are any other and they don't see anybody else who is considered to be different, they take everything as it comes." "I try to keep my focus on the children as much as possible and blank out anybody else, most of the time it's absolutely fine. I'll prepare them ahead of time so they're prepared where they're going. You hear the odd comment where people stare." She added: "They do act differently. We went to a play centre recently and that is a really big deal for my children, but I shouldn't have to keep them in."